Russia and its neighbours in the Eurasian landmass should not be treated as a “chessboard” or a “geopolitical playing field”, Russian President Vladimir Putin said on 9 July in remarks reported by privately-owned Russian news agency Interfax. 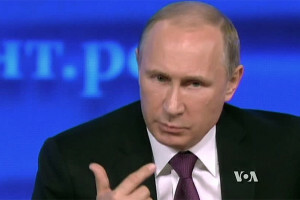 “For us, this isn’t a chessboard, it’s not a geopolitical playing field – this is our home, and all of us together want our home to be calm and affluent, and for it not to be a place for extremism or for attempts to protect one’s interests at the expense of others,” Putin said in the Russian city of Ufa, at an official reception for heads of state from members of the BRICS and Shanghai Cooperation Organization (SCO) groups. The BRICS countries and members of the SCO and the Eurasian Economic Union “in many ways share similar traditional values, common laws of morality, truth and justice”, Putin added. The city of Ufa is hosting two summits in the course of this week: the BRICS summit (Brazil, Russia, India, China and South Africa) and the SCO summit (Kazakhstan, China, Kyrgyzstan, Russia, Tajikistan and Uzbekistan).